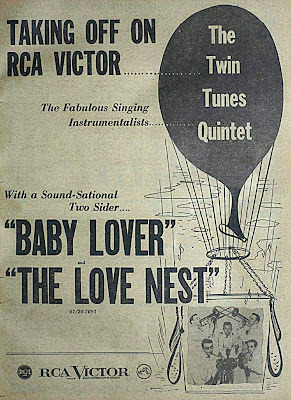 -The Love Nest/Baby Lover. RCA Records-1957. 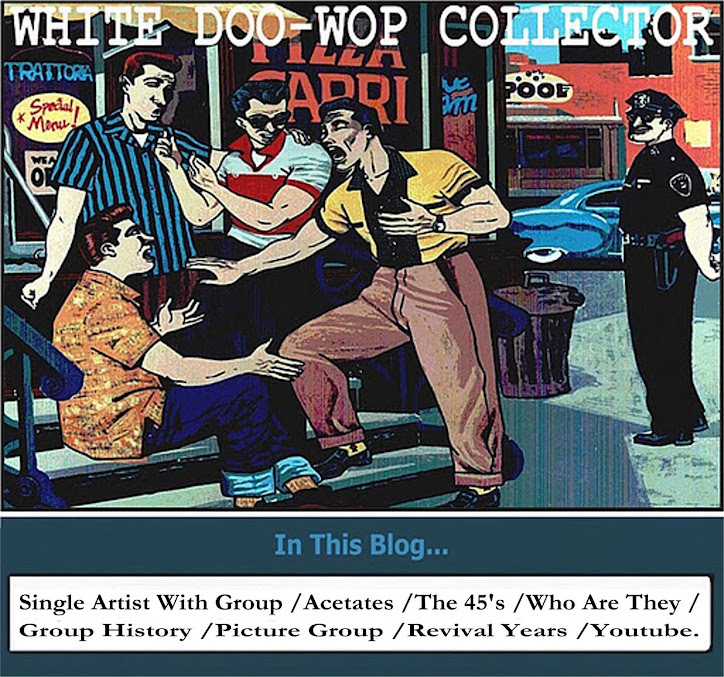 Group/band formed by Boyd Coulter (bass guitar),his twin brother (hence the name Twin Tunes) Bruce Coulter (piano),Tony Carle (trumpet),D'Roxy Weems (drums),Jimmy Conti (saxophone). In the picture the twins, Bruce and Boyd are on top facing each other with trombones - drummer D'Roxy Weems in the middle facing front - Tony Carle, trumpet, right bottom corner, Jim Conti, sax, left bottom corner. 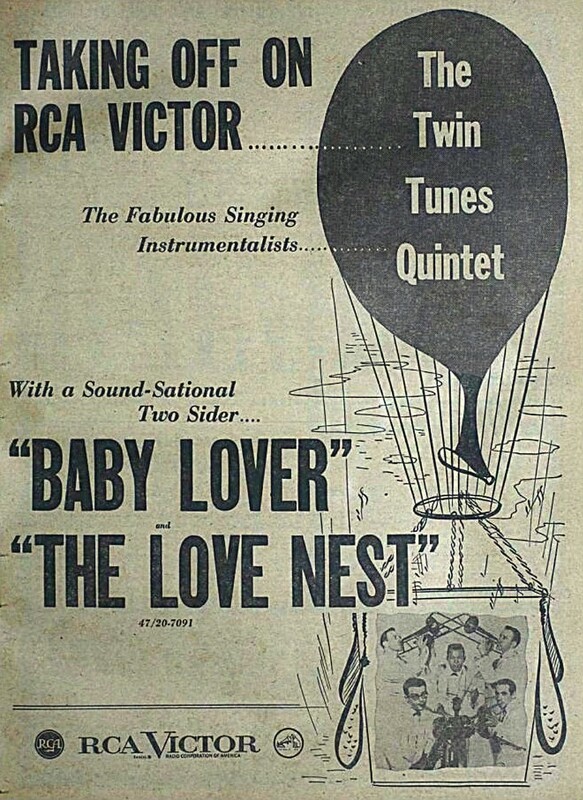 On the recordings "Baby Lover" and "The Love Nest," Boyd Coulter sings the lead melody.the band were an all-around entertaining act, headlining in the lounge of the Riviera and Tropicana Hotels, Las Vegas, along with many of the main-room headliners of the day such as Liberace and Harry Belafonte. 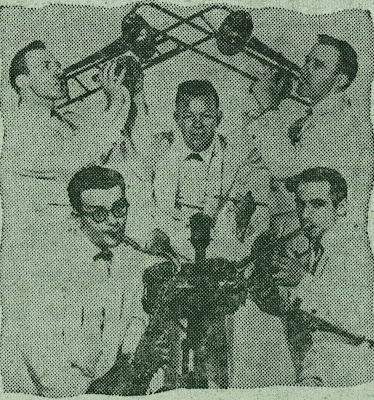 In Reno, at Harold's Club they appeared with Carmen Cavallaro, the break-away Bill Haley Comets group, the JodiMars and Frankie Valli, at that time known as the Four Lovers.